This spacious, eco-friendly home is trend setting and modern while shading toward contemporary bones. It was built with biodegradable products woven together with natural sustainable fabrics, while still remaining eco-elegant and inviting for a casual & comfortable lifestyle. Most all of the fabrics used were organic and classified as environmentally sustainable, yet still exemplify beauty and strength in a classic design. The home features elegant hardwood flooring throughout, with contemporary cabinetry that casts a sharp, pristine, and impeccable reveal. 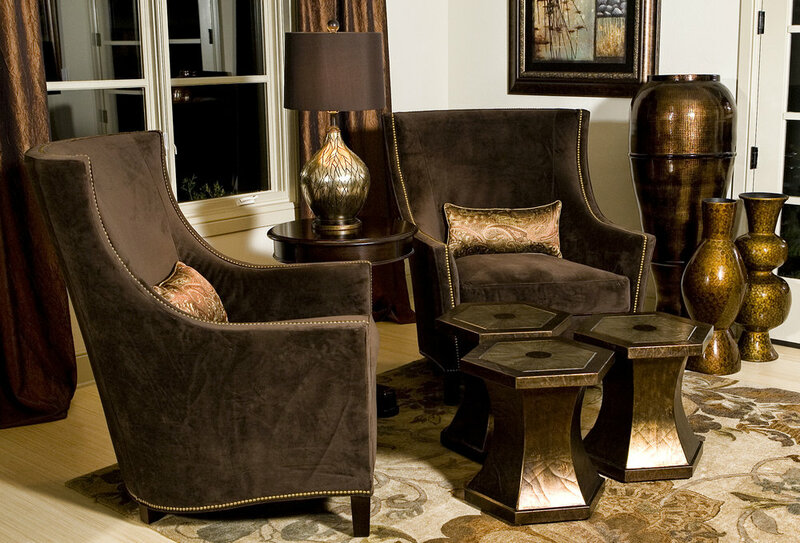 The product spectrum here is broad in that the furnishings keep the uniqueness flowing throughout the home while still having a more modern feel. There are distinct touches in every area of living, which mix in shades of naturals with the soft surroundings. These encompass splashes of green and bronze hues implemented in textured linen chenilles, silks, cottons, and tweeds. All of these together create a sense of cohesion in this environmentally-focused home.